Because in reality they don’t give a damn about poor black people, the mainstream media spent much of last week attempting to justify the burning and looting of 200 small businesses in Baltimore as a legitimate form of protest. This week, this very same mainstream media has savaged and victim-blamed anti-jihad activist Pam Geller for holding her own protest: a Draw Muhammad Cartoon Contest. By now we all know that on Sunday night two men identified by police as Muslims showed up at Geller’s event with assault rifles. The motive was clear: to massacre as many of the people as possible. All one-hundred or so, if possible. Thank heaven for good guys with guns. The media-result of a strong, brave woman defiantly standing up for her rights in the face of racist, sexist, gay-hating, theocratic barbarians…? Blaming the victim. Attacking her for “inciting” violence. Blasting her for “offending” Muslims. Condemning her for “baiting” her attackers. Hammering her for “provocative” speech. Does CNN’s Alisyn Camerota really oppose “provocative” speech? Does NBC’s Ayman Mohyeldin really oppose “hate speech” against religion? Does the LA Times really oppose “verbal attacks” against religion? I could go on and on, but I think you get the point: almost all of the media is premising its Hate Campaign against Geller based on what they advertise as their own principled opposition to religious bigotry, offending the religious, and sensitivity towards others. But they are hypocrites. All of them. Every single one of them. Geller has responded to this criticism by accusing the media of enforcing Sharia Law, and she is correct. And here are 9 pieces of incontrovertible evidence that prove Geller 100% correct. Provocative criticism, withering satire, in-your-face defiance… All nine of the items listed above are nothing more than Draw Muhammad Cartoon Contests in a difference format. The ONLY difference is how the media and the religious groups targeted respond to them. 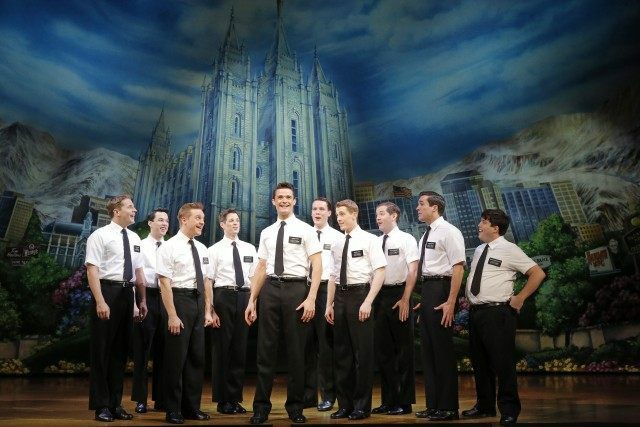 When “The Book of Mormon” hit Broadway, a biting satire of the Mormon religion and a runaway hit, no one in the media attacked its creators as bigots. In fact, the media promoted the hell out of the show, and my guess is that many of them attended and howled with laughter. Every Easter when thousands show up in San Francisco for the blasphemous and provocative Hunky Jesus contest, no one on the media attacks the organizers or attendees as bigots. How many promotional segments did the media offer prior to the release of every The Da Vinci Code novel and film? The media doesn’t give a flying fig about religious bigotry and not offending the religious. This is why Geller is correct when she says the media is using ad hominem and shame campaigns to enforce Sharia Law. It is only Islam the media protects from offense, no one else. That is enforcing Sharia Law, not a principled opposition to offending the religious. In one of the fairest debates yet on the issue, on CNN Wednesday morning, Chris Cuomo pointed out that the media will show a picture of Piss Christ but blur Muhammad cartoons. Therefore it is the media inciting violence, not Pam Geller. When you communicate to a savage that threats of violence are productive, YOU are the one inciting violence. Moreover, the reason Monty Python and The Book of Mormon and Piss Christ don’t “incite violence” is due to the fact that no one in the Mormon and Christian religion behead blasphemers. That is an Islam problem, not a Pam Geller problem. There is nothing more American than mocking those who say we dare not mock them. When someone threatens you, it is your DUTY as an American to mock them. The media are the bigots here. They protect only ONE religion from offense. And those who aren’t bigots are nothing more than godforsaken cowards and appeasers. We just celebrated the 50th anniversary of Martin Luther King setting a “mousetrap” for savages in defense of his God-given rights on a bridge is Selma, Alabama. But today, Pam Geller is the problem.